As a US American who spends a lot of time in Europe, I have apparently picked up a tendency to appreciate irony. So along with other Europeans (and even a lot of Americans) I was struck during the US presidential campaign by the irony of a proudly rich and pathetically wannabe elitist guy claiming to speak for downtrodden workers, of a shady global businessman arguing for trade restriction, and of an aggressive bully crying his tweets out. A really serious irony of the Trump triumph, though, concerns the myth of American exceptionalism. Trump’s campaign was based on the idea of unique American superiority, but it showed that the USA is actually no different than any number of other countries — democratic or totalitarian — that can be manipulated by a clever demagogue. Trump’s successful slogan, “Make America Great Again,” is clearly an appeal to exceptionalism. It is no accident that Trump speaks of “America” and not “USA.” The term “USA” or “US American” denotes nationality and thus membership in the global family of nations. 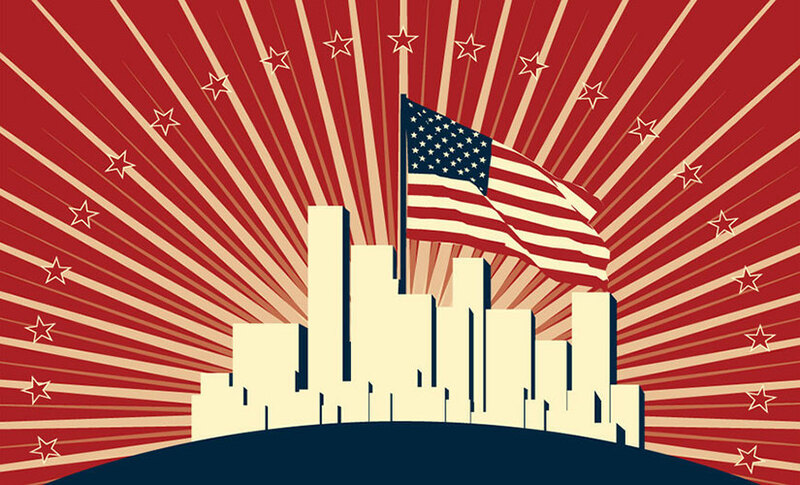 On the other hand, “America” is an appeal to the substantial portion of the population who don’t just think that the United States is unique (as famously noted by Alexis de Tocqueville), but who hold that American ideals are the acme of political development and the God-given perfection of society. This utopian belief in exceptionalism makes people vulnerable to a narrative in which the perfection must be protected from nefarious outside forces. Thus, ironically, exceptionalism breeds conventional compliance to authority. President Obama once had a more nuanced view of exceptionalism, expressed in a 2009 Financial Times interview: “I believe in American exceptionalism, just as I suspect that the Brits believe in British exceptionalism and the Greeks believe in Greek exceptionalism.” This slight nod to cultural relativity generated a firestorm of protest from American nativists, and among a string of corrections was his 2014 statement to the US Military Academy, “I believe in American exceptionalism with every fiber of my being.” I suspect that Obama knows better, but at least in his presidential role he also knows better than to go against this strongest of American myths. The Nobel Laureate physicist Max Born, himself a victim of Nazi persecution, said “the belief that there is only one truth, and that one’s self is in possession of it, is the root of all evil in the world.” No matter how good an idea seems to be – freedom, or human rights, or divine obedience – an unquestioned belief in it carries the seeds of intolerance and worse. In this case, the true believers in American exceptionalism have spawned President Donald Trump.